There was never a doubt that this story was going to be violent just from the cover, which is perfection for what is inside. If you find the cover disturbing then don’t go any further but if you are like me I just had to open this book and once I did I simply lost myself for a couple of days into some of the darkest places that I didn’t know could exist. This is a story of a life time of abuse from being a child to a man and Dale Hyde made me feel every physical and mental torture that Otiss experienced, as I felt the utter despair and his self worth being ripped apart in Ottis’s mind. It was like Ground Hogg day, an endless loop he couldn’t escape from. My heart shattered for this little boy who could find neither love or comfort at home or school. The only people who really cared for him was his grand-dad and a friend at school, who swore not to tell of Ottis’s beatings but let him talk to him of the terrible life he had. Stan has to be the most evil character that I have read about, a man who Ottis never had the right answer for. The beatings he had, which often left him unconscious were a daily occurence while his mother accepted his fate for him in order to not face her own. Stan had plans for them both. Stan seemed to have a hold over so many people who turned a blind eye or twisted the truth. Ottis, as a teenager is sent to Faberon, an institute for the criminally insane where I thought things can’t get any worse but how wrong I was. It real doesn’t leave a lot to the imagination as to who the real demented people are. Oh boy the experiments are like something from the middle ages, with deaths easily explained away for the authorities. I mean who gave a damn about these people anyway? No-one would ever believe them. The last part of the story is of Ottis as a man in his mid twenties and back out and in his ill prepared home town. Ottis has learnt a lot and it is time to share his skills with the people of his past. I was total engrossed with this story and Ottis which was based in a town where I use to live many years ago. This always gives me a buzz. Dale Hyde built Ottis up perfectly from a young boy, especially his heart breaking thoughts and excuses for his mum for a little boy desperate to be loved by someone. His innocence lost and adjusting to survive through his years in the institution to how he wanted to save the world, just one more time and again. It was still Ottis, still recognisable, a brilliant job by the author. Even the way Ottis spoke perfect how he would sound in my mind. It may have taken 8 long years to write but worth every word and every day. 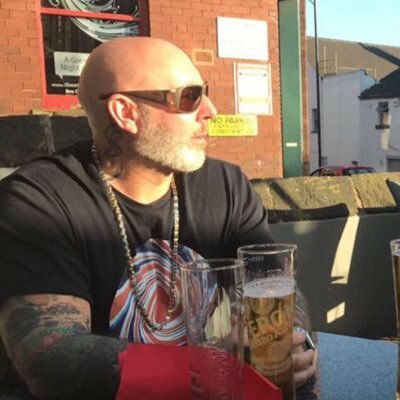 DALE BRENDAN HYDE was born in Salford in 1974, yet has lived most of his life in the City of Wakefield West Yorkshire. A troubled life throughout his teens crescendo into a lengthy prison sentence for robbery, where upon release a mixture of attending college to retake failed schooling & continued trouble with the police & high courts seemed to be his course in life, until a university place seemingly became the catalyst to a more determined path of making his occupation that of a Writer. He published his first poetry book by Route at the Yorkshire Art circus for the TS Elliot prize. Contributions to other writers books followed & magazine articles on his passion of bare knuckle boxing revealed his extensive repertoire in his writing styles. 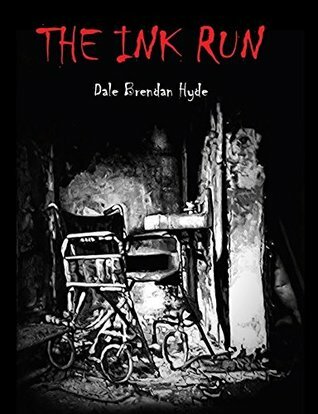 Trouble free now for over a decade, his debut novel THE INK RUN finally showed the true depth of his talent. His first short story, titled, The Whiskey Pool is available on Amazon kindle. He is currently over half way through his second crime fiction novel, Titled, The Death Row Thrift Shop, which will be released this winter 2018. Next postWhatever Happened to Betsy Blake? A haunting psychological thriller by David B. Lyons @TheOpenAuthor #ebook #PaperBack #crimefiction #crimethriller #KindleUnlimited #BlogReview #WhateverHappenedToBetsyBlake?